You carry your own equipment and tent and hike in your own pace to the shared nightcamps. You collect map, food and gas at the check-in. 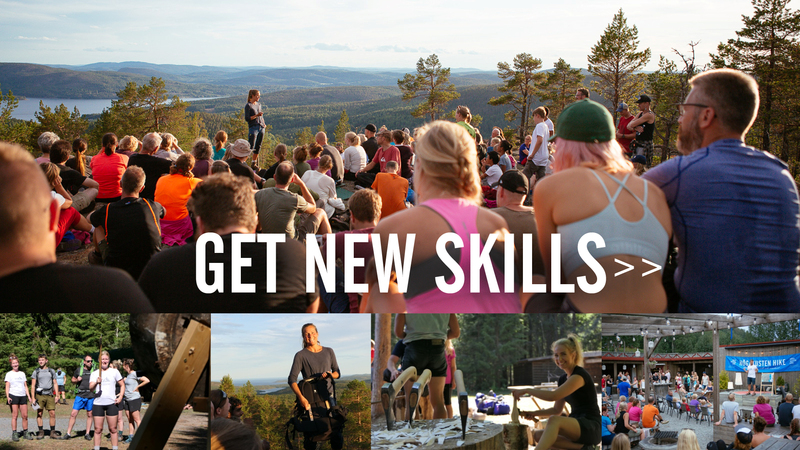 Outdoor-schools and seminars are held at Nightcamp Tärnättholmarna, Kälsviken and Nightcamp Dal. You can refill water during the hike, these spots are shared at the map-check on wednesday and thursday morning so you get the latest information. You need to check in as you reach the nightcamp. You have plenty of time but you need to get going latest 10:00 on Friday and Saturday morning. The High Coast Hike follow well marked trails with clear signposts. You also get a map with the route when you check in. Along the trail you will find staff to guide you if you need any assistance. However you need to make sure you know where you are by now and then looking at the map. There will be guides hiking in the front and in the far back as well as in the middle and at the nightcamps. However most of the time you will be with your friends or by yourself. You will get an emergency number to call if you need assistance. Due to the massive heat in Sweden with no downfall we have to adjust to the water situation. As you reach the nightcamps you need to check in with the guides on site. You also check out in the mornings. This is how we make sure you have arrived safely. This is one of the things you will have to remember. If not we will first search the campsite and then arrange a search and rescue along the trail. During the High Coast Hike we camp at shared basecamps. The first night is spent on Tärnättholmarna and the second night on the fields in the woods of Dal. The shared campsites create a great atmosphere. There are toilets on regular basis along the trail and at the nightcamps. However bring your own toiletpaper. In 2018 you are not allowed to make fire at the marked fireplaces or use a stove due to the national ban. You are not allowed to use wood from the forest or make fire insede or outside the marked fireplaces. Everything you carry with you into the High Coast Hike you bring with you to the finishline. No littering is allowed so please bring a small rubbish-bag. The High Coast Hike finish on top of the mighty Mt. 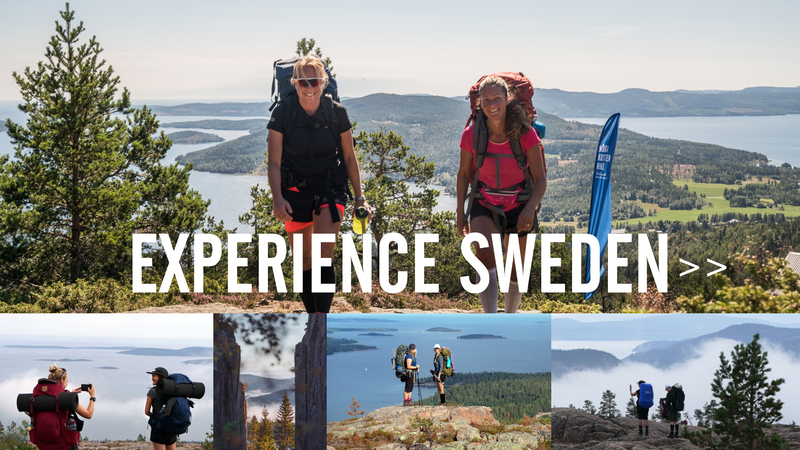 Skuleberget with amazing views over the World Heritage Site. Here you can enjoy food and drinks in the Top Cabin while we applaud eachother across the finish line. 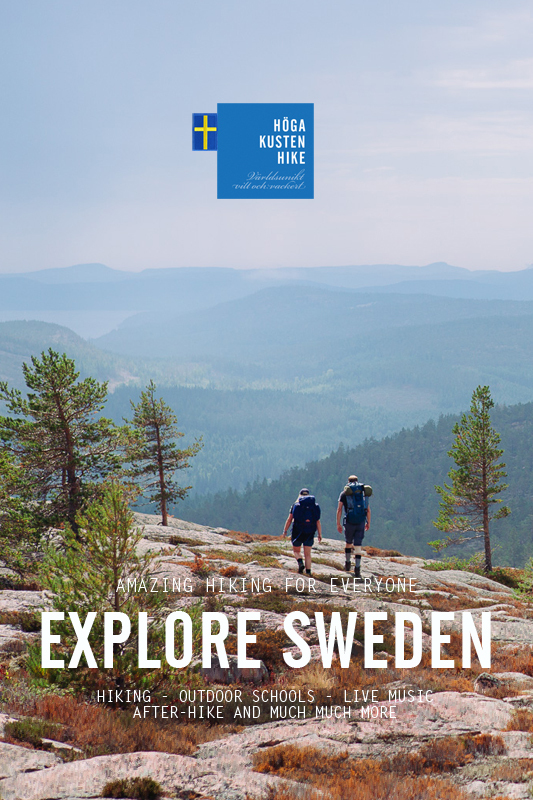 Most people hike ”Höga Kusten Stigen” down to FriluftsByn but you can also hike a shortcut along the lift or take Höga Kusten Liften down to FriluftsByn. The after-hike start at 16.00. 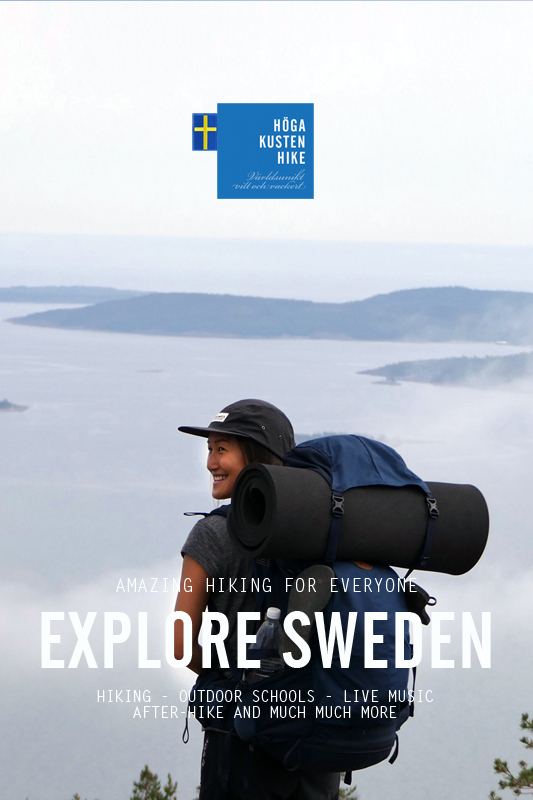 Participants of the High Coast Hike camp for free in FriluftsByn between Saturday and Sunday. 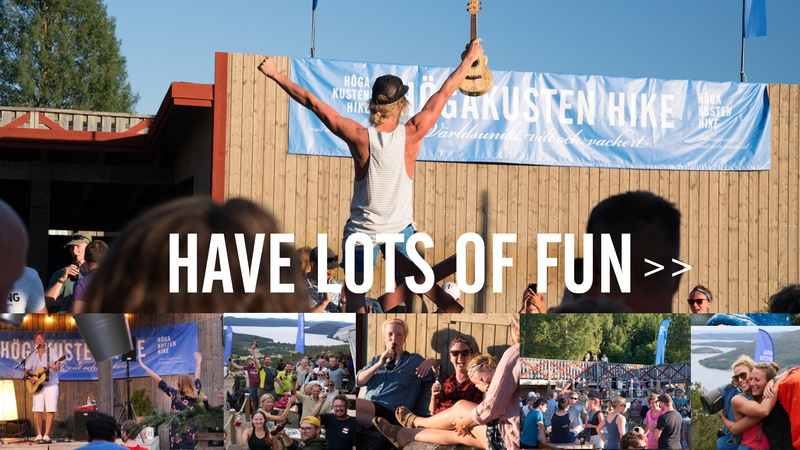 You camp for free in FriluftsByn Saturday to Sunday.